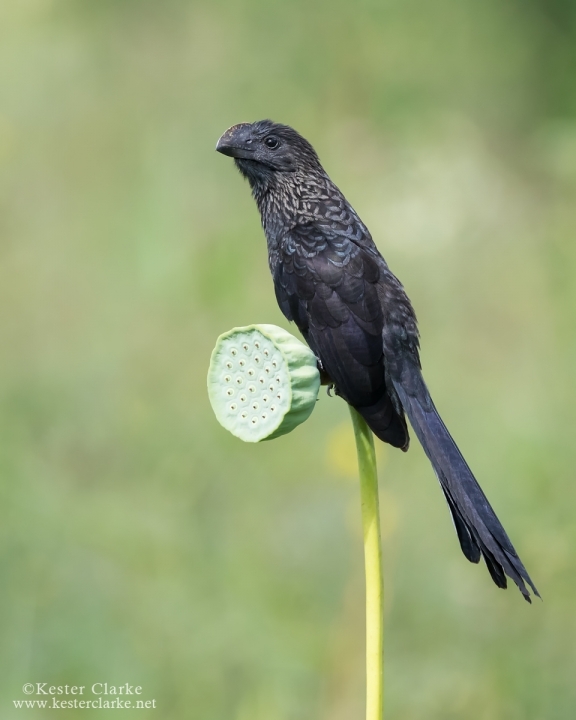 Smooth-billed Ani on lotus seedpod. 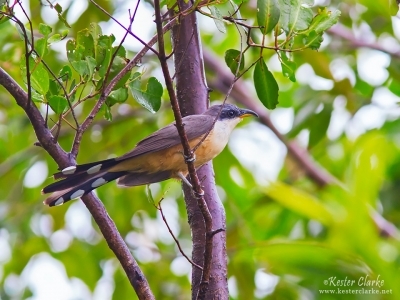 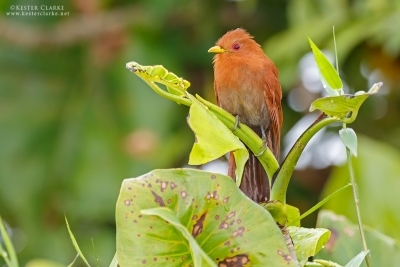 Botanical Gardens, Georgetown, Guyana. 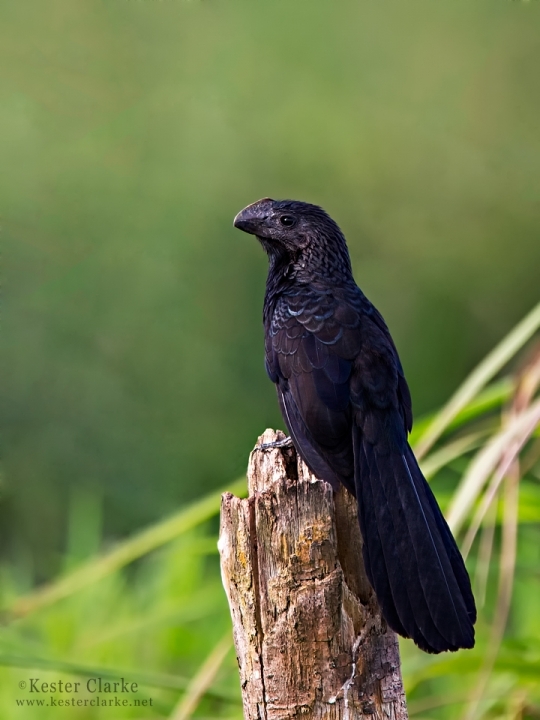 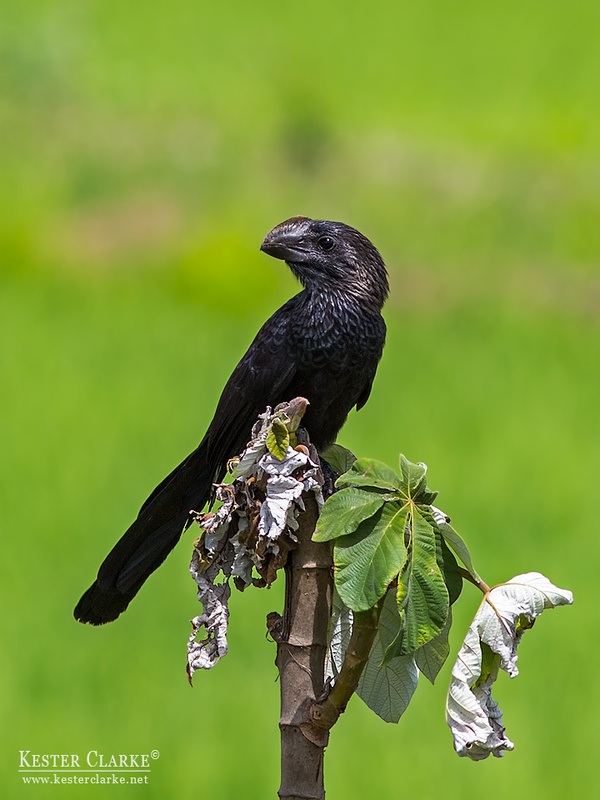 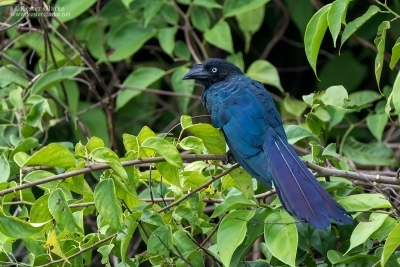 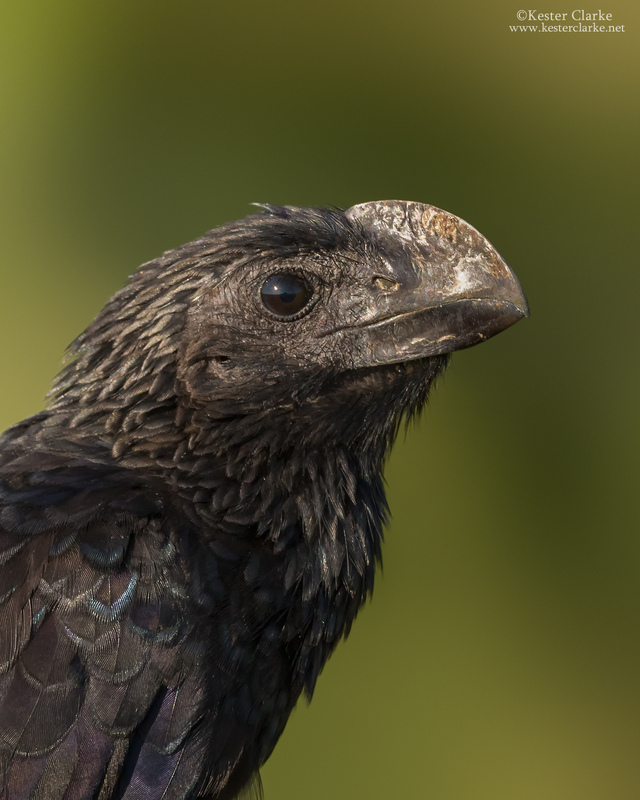 A Smooth-billed Ani (Crotophaga ani) in Garden of Eden, EBD, Guyana.